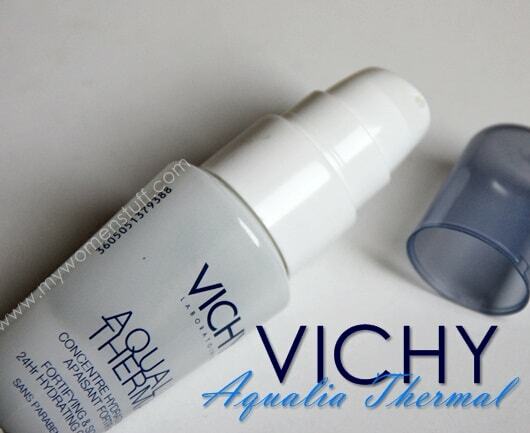 Home » Product Reviews » Fortify and Soothe and Hydrate… and all that : Take it away Vichy Aqualia Thermal! The serum comes in a glass bottle and the texture is rather viscous and an opaque texture. Its not sticky though. One pump is enough for me and it sinks into my skin very quickly, leaving it feeling plumped up quite nicely. It contains silicone but I don’t get a silicone feel to it. I do have a gripe with the bottle being a little too opaque for my liking. I would prefer if it was transparent so I can see how much is left. Or rather, when I should replenish because I like to take advantage of sales y’know. As I’ve noted, its not sticky, it keeps my skin feeling hydrated all day under my regular moisturizer, and its good stuff. I will have to emphasize one point – this product is not a moisturizer by itself. If you apply it and feel its sufficient for you, then good. But its not meant to be used alone. It should be used together with a moisturizer. I have been using this with a hydrating moisturizer like the Kiehl’s Ultra Facial Oil Free gel cream in the day and these two make a potent combination. Foundation slips on like a silk coverlet on the skin. Lovely! Its a little pricey for something from the pharmacy though but it sometimes goes on sale or comes in a value price set so its worth looking out for it then. A hydrating serum that helps boost hydration and moisture levels in the skin. To be used together with moisturiser, not in place of moisturiser. It absorbs quickly into the skin without leaving it feeling sticky. A pump is quite sufficient for most people and a bottle can last quite a while. I was going to call this a budget alternative to the Estee Lauder Hydrationist Moisture Barrier Fortifier which functions on the same principle. However, at RM130/30ml vs RM210/50ml I realized that there was hardly any difference in price. The difference is only when you get this one on sale or in a value pack. PREVIOUS POST: Red or white? Hada Labo Lifting + Firming Lotion or Super Hyaluronic Acid Lotion? I’m not sure if anyone has told you yet but the latest posts are not showing up if you access the site through https://www.mywomenstuff.com. They only come up through the feedburner. The most recent post if I go through https://www.mywomenstuff.com is the tsuya tsuya review. it works fine for me as the latest posts (as of now, it is this Aqualia serum review) are showing as usual on https://www.mywomenstuff.com. maybe it’s just a problem on your side? LOL! Look under Vichy’s product range. It should be there with the rest of the Aqualia Thermal range. Yay another fan! 🙂 I don’t know if it actually works for 24 hours but I like how it keeps my skin hydrated all day long especially under makeup and in an air-conditioned office! This looks good! Thanks for sharing! Have not tried it yet though..
Was using Dr Wu Intensive Hydrating Gel with Hyaluronic Acid (bought in TW) as a night cream. Went to check out the serum at Watsons and it’s pricey too.. with no discount at the moment LOL. Am debating whether to go for an anti-aging serum or hydrating serum. hmmm….! Thanks! And yes, I hold it up to the light to estimate how much I have left… and constantly surprise myself at how much is left! this does look good tho, i’ve been searching everywhere for a good hydrating serum. but sigh. I love using these sprays in hot weather – they are so refreshing! I have this serum too and boy does it work wonders! 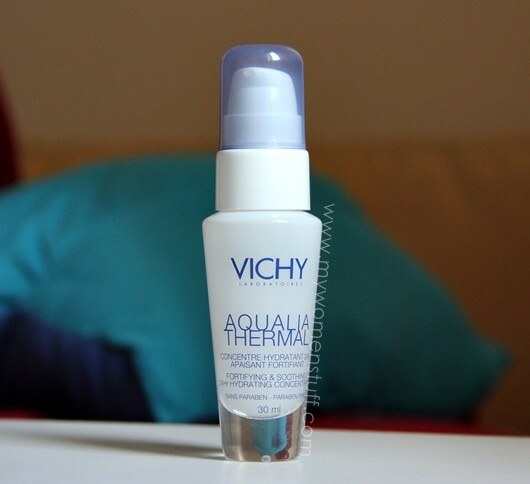 =) Yay for Vichy!! It’s a shame it’s so pricey in M’sia though! I am almost done with my estee lauder hydrationist barrier fortifier (got it based on your review!) but got a khiel’s anti aging serum instead. I’ll try this next coz u made it sounds so good. Btw, can you do a post on your skincare routine? Ooh which Kiehl’s serum did you get? 🙂 I’ll do up a post on the stuff I use soon. Keep meaning to coz I keep getting asked LOL! I got the acai something one. Btw! I used half a bottle of this hada labo whitening essence for damage control on the Italian sun last year to no avail. BUT after using the khiel’s midnight recovery concentrate (also saw on your blog!) together with the essence underneath, I got boosted results almost immediately. I got back my pre-italy skin tone before finishing the last qtr of the bottle. Very pleased with the results and many nights of good quality sleep!